Hey guys! 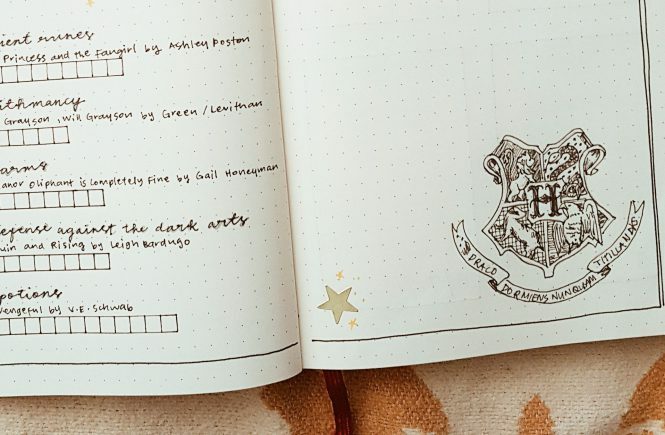 So this month I’ve decided to join the OWLs Magical Readathon! Another reading challenge? Hell yeah! It’s July! What? How did that happen? I honestly cannot believe that we’re in the middle of 2018 already BUT I am not complaining at all. I’m excited for November because we will be visiting my family in the Philippines. Yey! 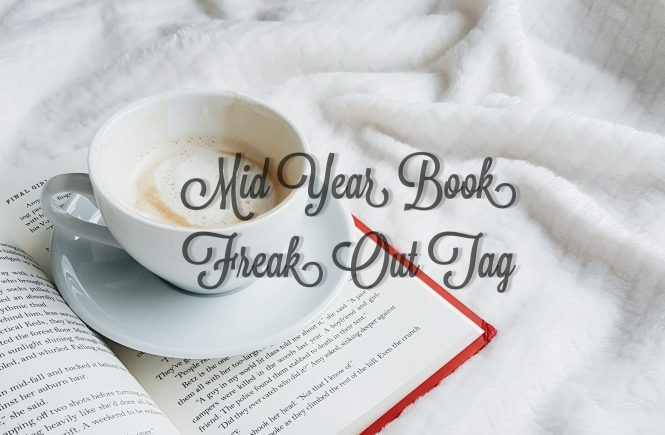 Anyway, I’m here for the Mid-Year Book Freak Out Tag. I have a great reading months so far so I’m not really freaking out. My goal this year is to read 10 books and I have read 40 books already. I’m all for “quality over quantity” this year! Anyway, here is my Mid Year Book Freak Out last year if you are interested on reading it. IT’S OFFICIALLY JULY! Like 4 days ago already. Yesterday, I went to a craft store and they’re already selling Halloween costumes and Christmas decorations. What? Anyway, I think it’s better to buy these stuff earlier because they are cheaper compared on buying them during the holidays. I didn’t buy any because I still have the decorations from the last years. Wait, what am I actually rambling here? Okay. 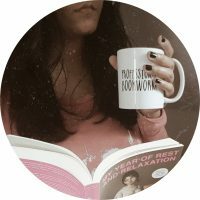 The New Year’s Resolutions Book Tag! Hi guys! How are you doing? If you’ll ask me, I’m doing pretty great. I had a lovely weekend because of the Love-A-Thon event. It was my first time participating and I totally enjoyed it. 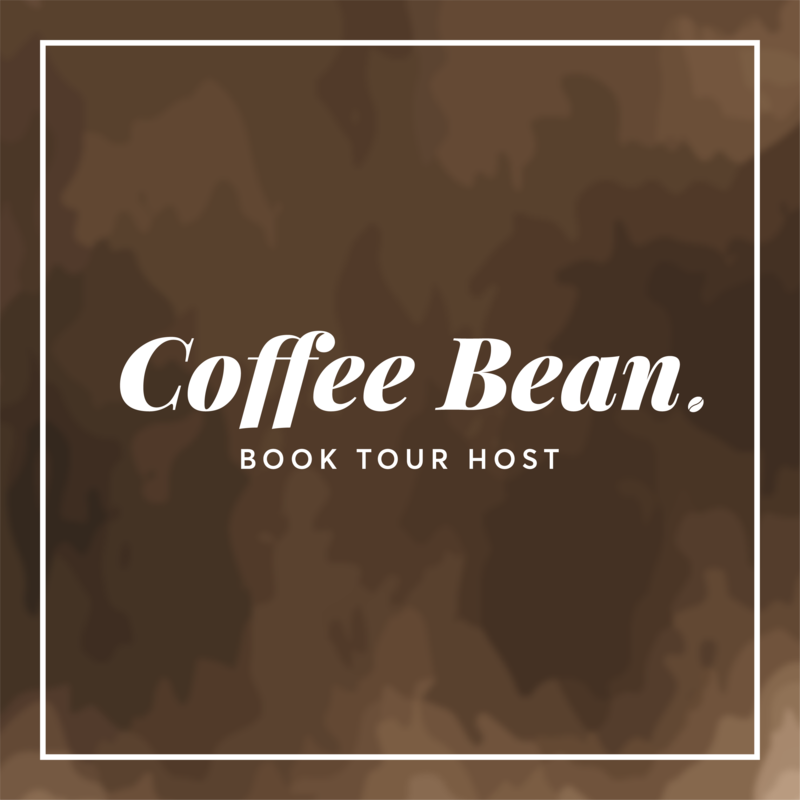 I want to thank all the hosts for creating this wonderful event and for sharing it not only with bloggers but also with bookstagramers and youtubers. I’ll definitely join again next year. 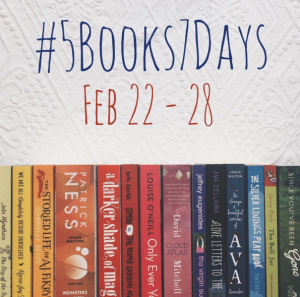 So, today is the start of #5Books7Days Readathon hosted by Lotte and I am participating. I joined last time but I only read 3 books so this time i’ll try my best to read 5. 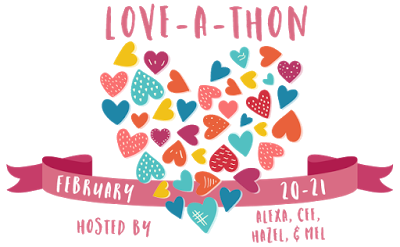 The Love-a-Thon is an event dedicated to spreading positivity and love. 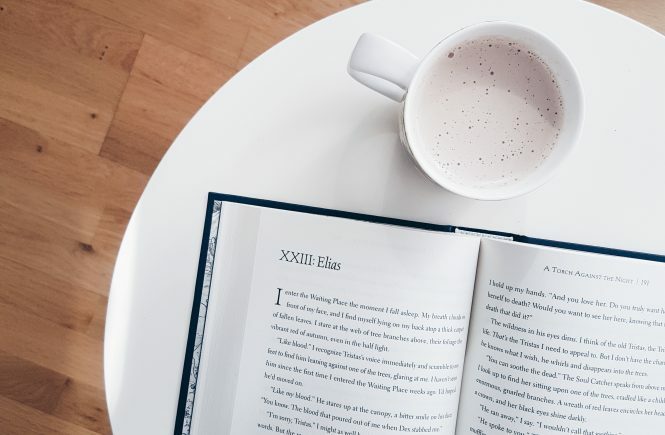 It’s time dedicated to visiting other bloggers/Instagrammers/BookTubers, leaving a comment or two, making new friends and fostering positivity among the members of our amazing community. Hosted by Alexa of Alexa Loves Books, Cee of The Novel Hermit, Hazel of Stay Bookish, Mel of The Daily Prophecy. 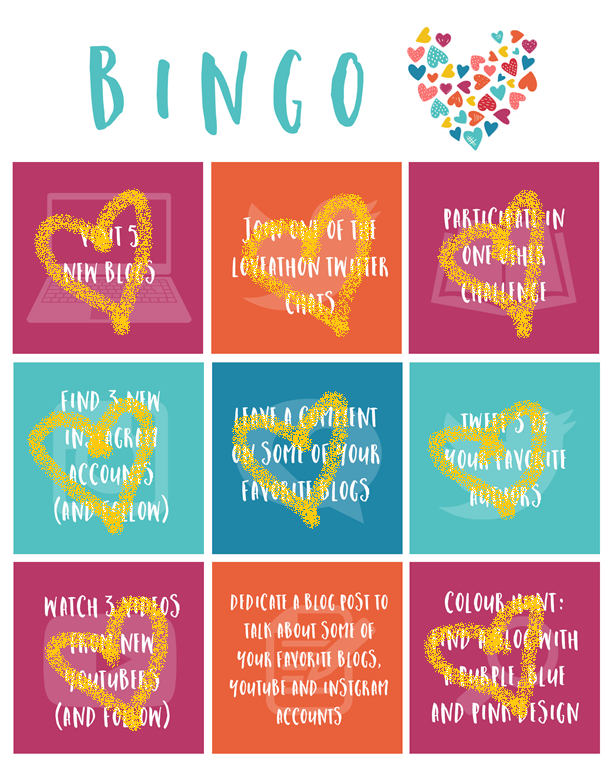 This challenge is specifically for BookTubers but it looks fun so why not try it with a normal blog post. Also, Cee at The Novel Hermit posted one too. All you have to do is to pick books based on their spine colors and then follow the prompts. Let’s do this. Flip to page 119, and find the first line of the third paragraph. This line is the first sentence of a book about you. I had a crush before named Yael. He’s the vocalist of Spongecola. I haven’t read this book yet but it’s on my 2016 TBR. 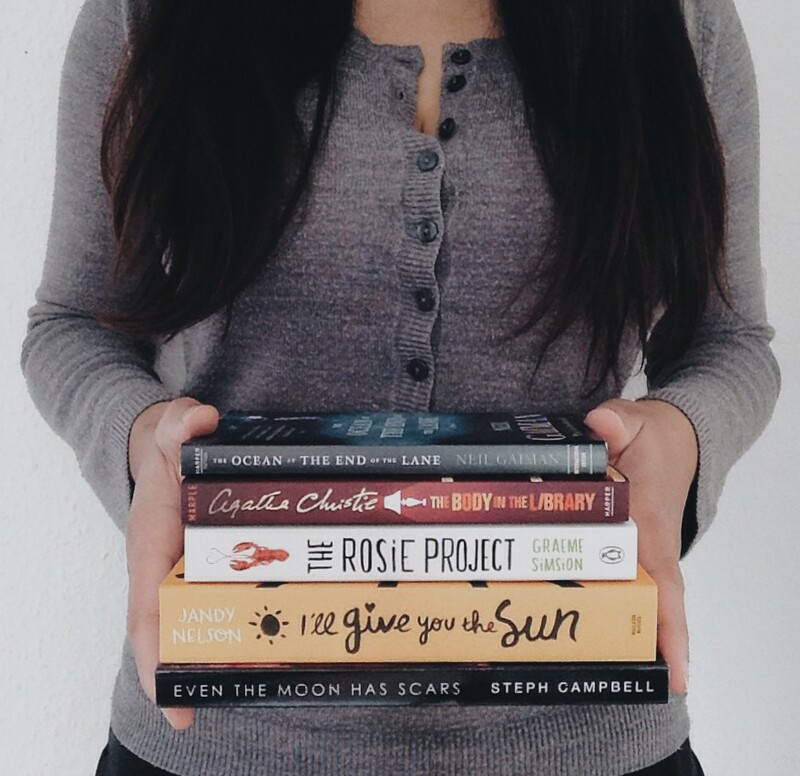 crack open the book is your book BFF. • Make a post to sign-up for this challenge. • Showcase the bingo card and keep track of your progress. • Add your link to the Linky to enter the giveaway. • Cross AT LEAST 3 squares off to have a shot at the giveaway. (And yes, we will check) It is up to you how many you aim for in the end.